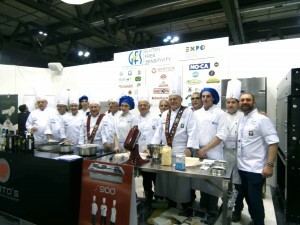 Cooking Team Torino: Andrea Pellegrini, Angelo Tempo, Claudio Forti, Daniele Spada, Enrico Bricarello, Francesco Gallo, Giuseppe Zuccaro, Lamberto Guerrer, Luca Carrera, Salvatore Bonamassa, Savio Nada, Stephane Cancemi. 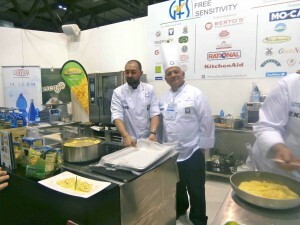 Cooking Team Alessandria: Aldo Domanda, Mario Malaraggia. 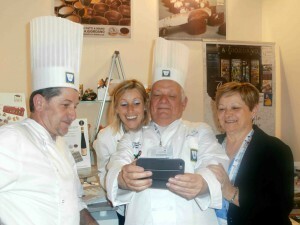 Cooking Team Modena: Marcello Ferrarini. Special Guests: Marco Amoriello, Campione Mondiale di Pizza Senza Glutine 2002 e 2004, Massimo Biale, Executive Chef Italian Air Force. 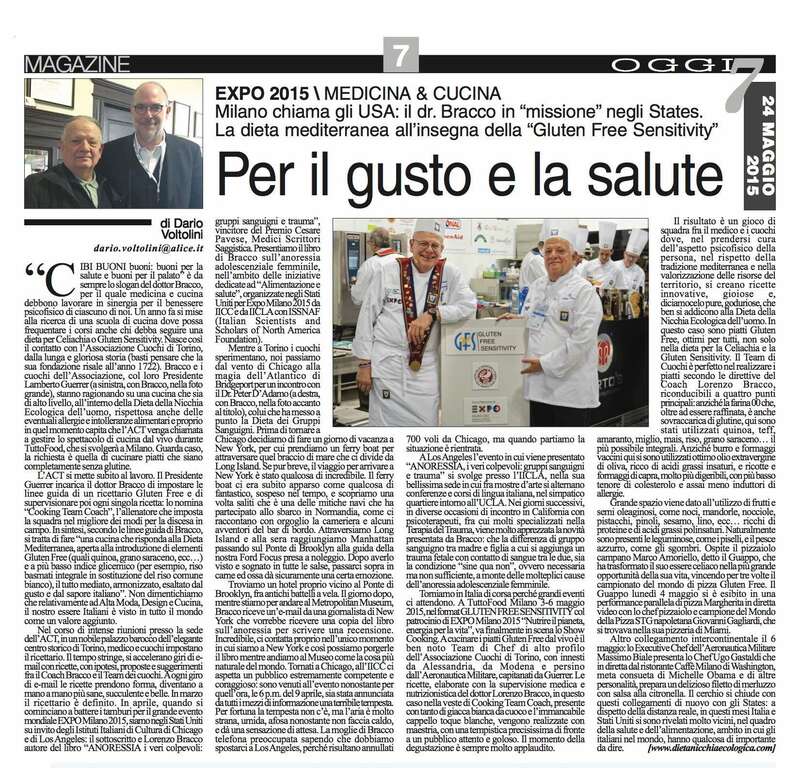 Good good food: “good for health and good for the palate” has always been the slogan of Dr. Bracco, for whom medicine and cooking must work synergistically for the psychophysical well being of each of us. One year ago, he went looking for a cookery school where even people who have to follow a diet for Celiac Disease or Gluten Sensitivity can could attend courses. 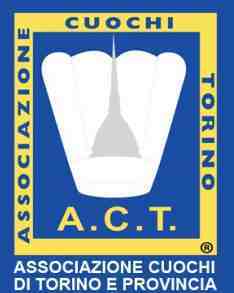 So the contact with the Chef Association of Turin (Associazione Cuochi di Torino, ACT) was born. ACT has a long and glorious history (its foundation dates back to 1722!). 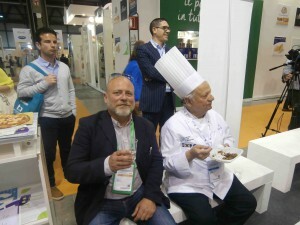 Dr. Bracco and the Chef Association, with its President, Lamberto Guerrer, are discussing a high-level cookery, within the Diet of the Ecological Niche of Man, respectful of any allergies and food intolerances. 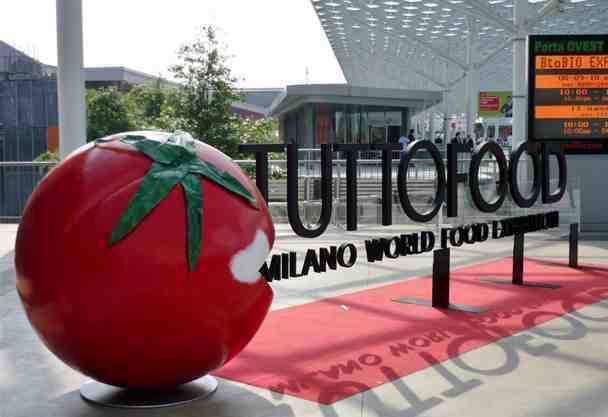 Right at that time ACT was called to handle the cooking show during TuttoFood, which would take place in Milan. The request was to cook dishes that were completely Gluten Free: amazing! ACT immediately started to work. President Guerrer asked Dr. Bracco to set the guidelines for a Gluten Free recipe book and to oversee each single recipe. The President nominated Dr. Bracco as “Cooking Team Coach”, the coach who sets the team in the best way to get into the field. 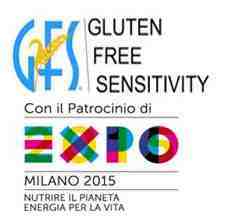 In short, according to Dr. Bracco’s guidelines, it is a kind of “cuisine that responds to the Mediterranean Diet, open to the introduction of Gluten Free elements (such as quinoa, buckwheat, etc…) and lower glycemic index (e.g. whole grain basmati rice instead of of white common rice), all harmonized, exalted by Italian taste and flavor”. Let us not forget that with regard to High Fashion, Design and Cookery, Italian brand is seen all over the world as an extra value. During intensive meetings at the ACT office, in a noble baroque palace of the elegant historic center of Turin, the doctor and the chefs set up the recipe book. Time ran away, e-mail recipes ran fast, with hypotheses and suggestions between Dr. Bracco, the Coach, and the Chefs’ Team. With every exchange of e-mails the recipes took shape, they became healthier, more succulent and more enjoyable from time to time. In March the recipe book was ready. 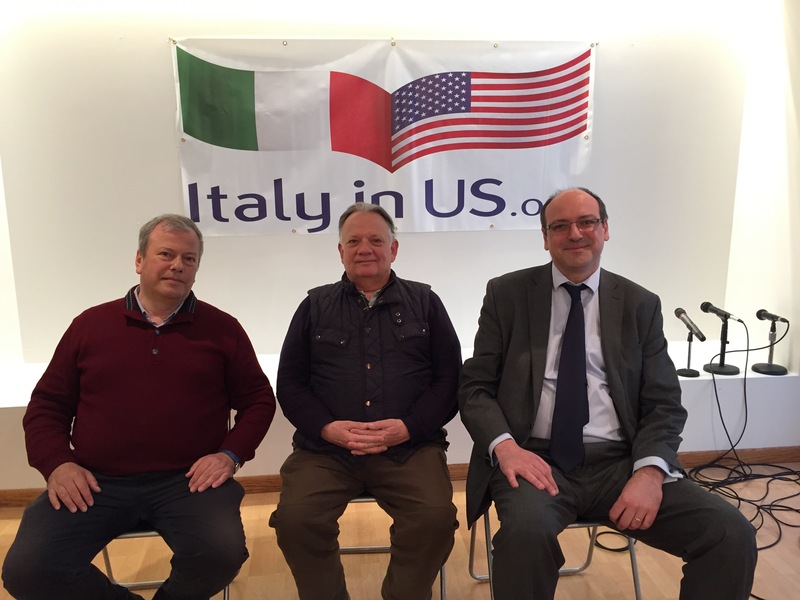 In April, when the drums began to beat for the great “EXPO Milano 2015″ event, Dario Voltolini, press officer, and Dr. Lorenzo Bracco were invited to the United States, by the Italian Cultural Institutes of Chicago (IICC) and Los Angeles (IICLA). Dr. Bracco is the author of the book “Anorexia the Real Causes: Blood Types and Trauma”, winner of the “Cesare Pavese Award, Nonfictional Medical Writing”. Dr. Bracco and the journalist Mr. Voltolini presented Dr. Bracco’s book about the female adolescent anorexia amidst the events dedicated to “Food and Health” organized by IICC and IICLA with ISSNAF (Italian Scientists And Scholars of North America Foundation) in the United States for Expo Milano 2015. 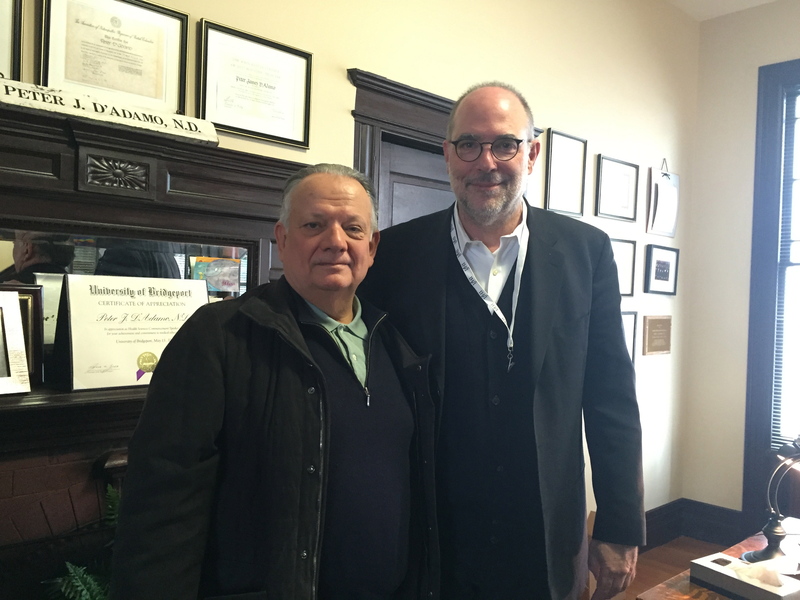 While the chefs were experimenting in Turin, Dr. Bracco and Mr. Voltolini moved from the windy Chicago to the magic of the Atlantic in Bridgeport for a meeting with Dr. Peter D’Adamo, the one who developed the Blood Types’ Diet. Before coming back to Chicago, they decided to go to New York for a day off, so they took a ferry boat to cross the sea between Bridgeport and Long Island. If short, the trip to New York was incredible. The ferry boat immediately appeared to them as something fantastic, suspended over time, and they discovered once they boarded it, that it was one of the mythical ships which had taken part in the Landing in Normandy during the second World War, as proudly the waitress and some passengers told them. They crossed Long Island and in the evening they reached Manhattan upon Brooklyn Bridge. After having seen the bridge and dreamed about it in all possible ways, driving on it in flesh and bones, in their rented Ford Focus, gave them great emotions. They found a hotel close to Brooklyn Bridge, among lots of old sailing boats. The next day, as they were going to the Metropolitan Museum, Dr. Bracco received an e-mail from a New York reporter who wanted to get a copy of the anorexia book to write a review. Incredible, she contacted him right while he was in New York and so he could give her the book while he was going to the Museum. When they came back to Chicago, a highly competent and courageous audience was waiting for them at the event, despite the fact that a terrible storm had been announced by all the mass media for that time, 6 pm on April 9th. Luckily, there was no storm, but the air was very odd, damp, fuzzy though it was not hot, and there was a feeling of waiting. Dr. Bracco’s wife, as she was worried, phoned because she knew they had to move from Chicago to Los Angeles, while 700 flights from Chicago airport had been canceled. But when they took off for Los Angeles the situation had normalized. In Los Angeles, the presentation of “Anorexia, the Real Causes: Blood Types and Trauma” was at IICLA, in its beautiful venue where there were art exhibitions, lectures and Italian language courses, in the cute neighborhood around the UCLA. 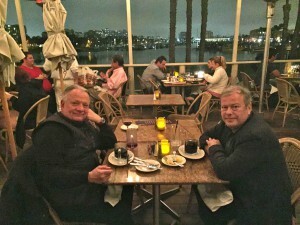 On the following days in California, Dr. Bracco’s novelty was widely appreciated, in several meetings with psychotherapists, including many specialists in Trauma Therapy. Dr. Bracco’s idea is that there is a blood type difference between mother and daughter to which a fetal trauma is added with blood contact between the two. This is “conditio sine qua non”, the necessary but not sufficient condition for the causes of anorexia to become active. They came back to Italy for great events awaiting for them. 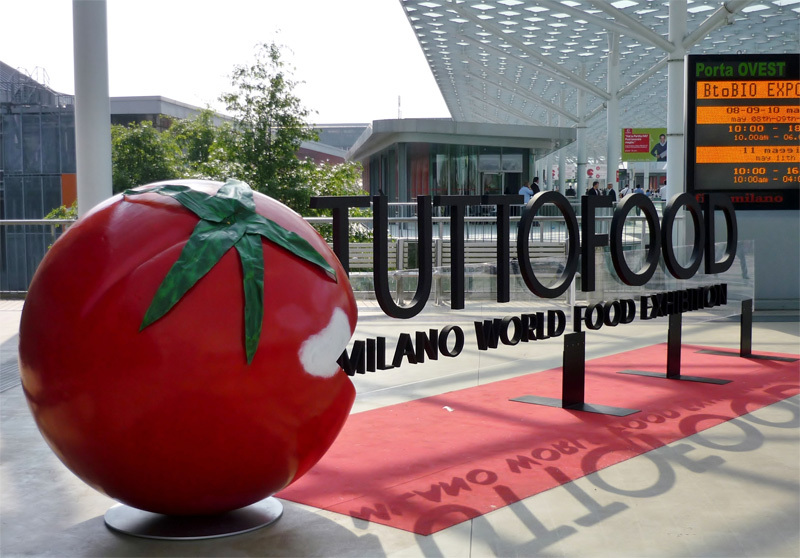 At TuttoFood Milan 3rd to 6th May 2015, in the GLUTEN FREE SENSITIVITY format under the patronage of EXPO Milano 2015 “Feeding the Planet, Energy for Life”, finally Show Cooking was on stage. 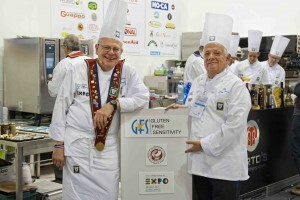 Cooking the Gluten Free dishes was the well-known Chefs Team of high profile of the Torino Cuochi Association, with grafts from Alexandria, Modena and even the Military Air Force, all led by President Guerrer. 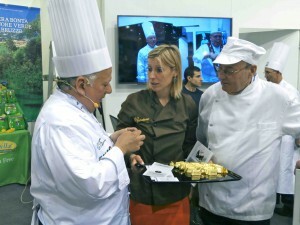 The recipes were elaborated with Dr. Lorenzo Bracco’s medical and nutrition supervision, in this case as Cooking Team Coach, wearing a white cook jacket and the inevitable “toque blanche” hat. The recipes were made with mastery, with a very precise timing in front of a careful and greedy audience. The tasting time was very applauded. – Quinoa, teff, amaranth, millet, corn, rice, buckwheat, and so on, bio and whole, have been used instead of the flour which, in addition to being refined, is also overfull with gluten. 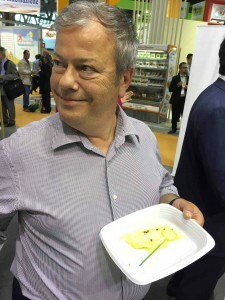 – Instead of cow butter and cheese, excellent extra virgin olive oil, rich in unsaturated fatty acids, and goat “ricotta” and cheese are used, which are much more digestible, with lower cholesterol content and much less inducer of allergies. – The use of fruits and oilseeds (such as nuts, almonds, hazelnuts, pistachios, pine nuts, sesame, flax, etc.) is very important. They are rich in proteins and polyunsaturated fatty acids. – Of course, pulses (legumes) are present, such as beans. – And even blue fish, like mackerel, is present. 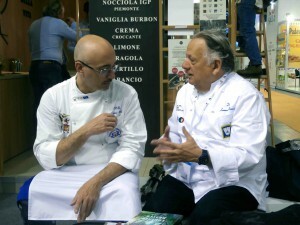 The pizzaiolo Marco Amoriello, called “Guappo” in Neaples dialect, was a guest. He transformed his celiac disease into the greatest opportunity of his life, winning three times the World Championship of Pizza Gluten Free. 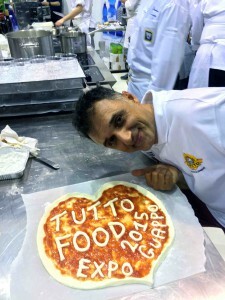 The Guappo on Monday, May 4th, performed live video in a parallel performance of pizza Margherita with the chef pizzaiolo and World Champion of Neapolitan Pizza STG Giovanni Gagliardi, who was in his own pizzeria in Miami. 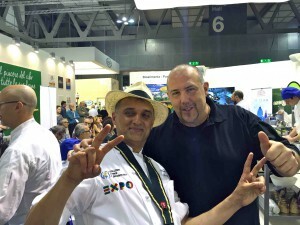 Another intercontinental connection on May 6th: Executive Chef of Military Air Force Massimo Biale presented Chef Ugo Gastaldi, who from the Caffè Milano restaurant in Washington, a destination common to many VIPs, prepared a delicious fillet of cod with lemon sauce. The circle closed with these links again with the States: in spite of the real distance, in these months Italy and the United States were very close in the health and nutrition field, where Italy, and Italians in the world, have something important to say.